With 15,858 diamonds, Coronet’s ‘Mudan’ timepiece set the Guinness World Record for most diamonds ever set in a watch. 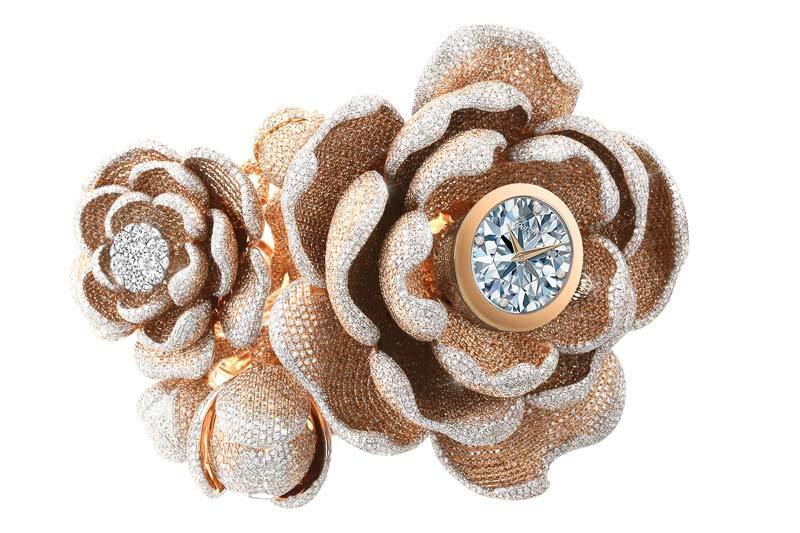 With a design inspired by peonies, the ‘Mudan’ timepiece contains 15,858 diamonds (50.01 ctw) set in 18-karat gold with Ahluwalia’s hyper-realistic diamond depiction on its dial. Coronet, a Swiss brand of Aaron Shum Jewelry, received the honour at last week’s Baselworld in Switzerland. The company already holds eight Guinness titles, including the record for most valuable guitar for an 18-karat gold piece with 400 carats of diamonds. For more, check out the video below, courtesy Reena Ahluwalia.